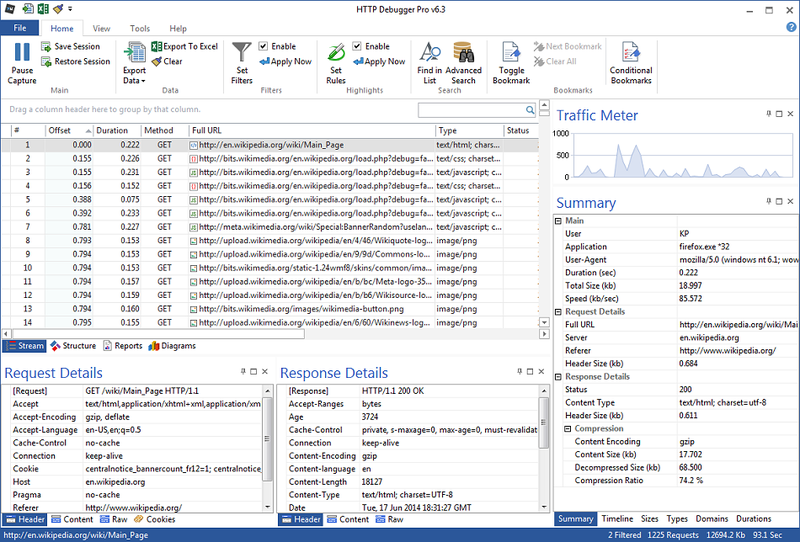 HTTP Debugger Pro capture, view and analyze all outgoing and incoming traffic between a web browser or program that uses HTTP protocol, and the Internet. 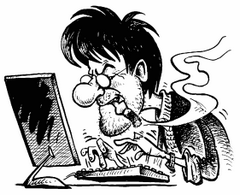 Each HTTP request and/or response can be examined to see the HTTP header parameter values, cookies, query strings, the source code of HTML/XML web pages and Java/VB scripts, error codes etc. All captured web pages and images can be viewed in the built-in web browser control. All captured HTTP traffic can be exported into the log files either in the RAW network or in the decoded (how browsers see it) format. SoftX HTTP Debugger works with all popular web browsers (Internet Explorer, Mozilla FireFox, Opera, etc) and their plugins. Software developers can use it to view and analyze the HTTP traffic of their own software programs. Supports Google Chrome, Mozilla Firefox, Microsoft Edge and custom apps written in C++, C# and Java. Modify HTTP sessions, redirect TCP/IP connections, simulate server responses and server erros. Decrypts HTTPS traffic from browsers, custom applications and Android emulators. Visualize HTTP traffic in a comprehensible form of charts and diagrams. Create detailed reports. Export to MS Excel. View and analyze http traffic from Android emulators and Android Studio virtual devices (AVDs). Receive log files from your users with free Express version and analyze these logs in Full version on your computer.